AN INCREDIBLE VALUE! SELLER RELOCATING AND SAYS BRING ALL OFFERS NOW!!! Make sure to come see this spectacular and large custom built watefront estate home. Almost 8,400 sq. ft. after last addition. 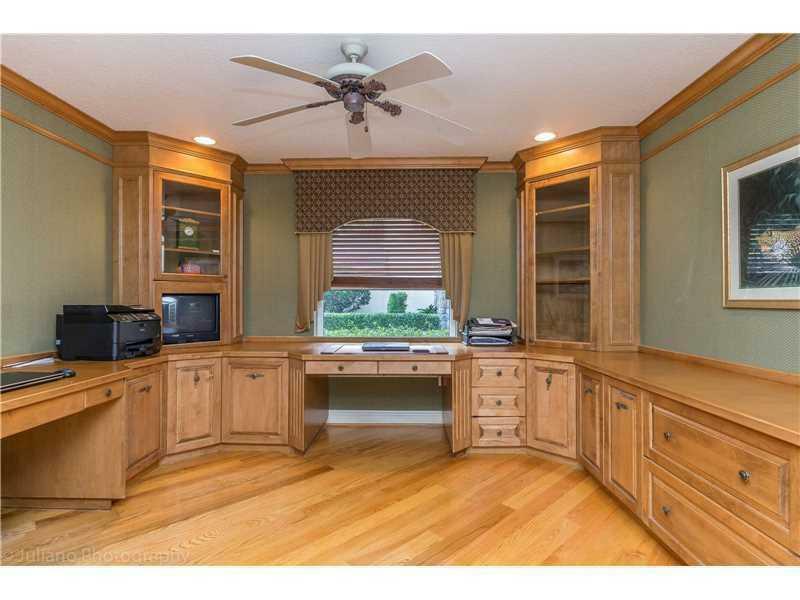 6 bedrooms, plus office, media room, and gameroom with 7 1/2 baths - no 2 are the same. Home sits on a secluded and lushly landscaped 1.2 acre lot with a preserve running along the entire left side of the home and a private island in behind. Solid red oak wood flooring and stunning lake views thruout. All living on first floor with only a large gameroom upstairs. Huge master suite with sitting area, 3 closets, 2 safes, a separate laundry room, spa like bath with jacuzzi tub, steam shower, and dual vanities. Both open and covered patio space in the rear overlooking 20x40 pool and the lake.